Massive personal growth is something that can be eternally elusive to most of us. At some point in our lives, we see ourselves on a boat, drifting across the vastness of the ocean with no direction whatsoever. No matter how we try to paddle our way through, we seem to see our lives running in circles. This perfectly familiar narrative plagues the lives of the modern man, whose pursuit of the good life remains stagnant in the face of the waves before him. Struggling to keep even the stability that we have right now, we do various things just to keep the boat floating. And yet, we ask, "Is this all that there is in life? Being born a poor man, does it mean that I'll die in the same state as well?" Of course, the answer is NO. As a being capable of changing our destiny, we can always choose to be rich over being poor, to be fit instead of fat, to be successful instead of remaining a failure. ​As such, if we genuinely want to achieve that massive personal growth in critical aspects of our lives, the secret is not in the number of paddles that we do as we are drifting across the ocean. Instead, the key lies in being able to successfully identify what we want in life and relentlessly pursue it. ​But how do we do it? How do we set the course and turn-on the full throttle engine? ​A lot of things can be done to address this problem. Consulting a life coach will tell you that this can be solved by setting life goals, changing bad habits, creating good daily targets, etc. And while all of these are valid viewpoints, what we fail to realize is that most of the time, people cannot follow through with them. ​For instance, when someone is in a personal growth session, they may be able to identify certain things that they want to achieve in life and yet never produce the results. During the workshop, they have an excellently written list of things that they want to achieve. And yet, after the workshop they subconsciously bury that list down their drawers. The question is: Why so? ​While most people know what they want, the problem is that they unknowingly can't get there. It is as if there's a wall between them and their goal that they can never surpass. But in reality, this wall is just an idea in our mind, something that we cannot topple down. ​As such, one powerful solution to this problem within our minds is to counter it with an equally apt method – mindfulness meditation. By definition, meditation is a process which seeks to empty our minds of all thought so that we may give space for it to be filled with positive ideas. During our idle moments, we can easily be prone to think of negative things which can cloud our minds, making it more difficult for us to focus on what we want. ​In doing a mindfulness meditation, we can easily change this bad habit as we become more aware of it. As in all forms of meditation, the key to having a momentous and worthy moment is by making sure that you are prepared on all fronts. 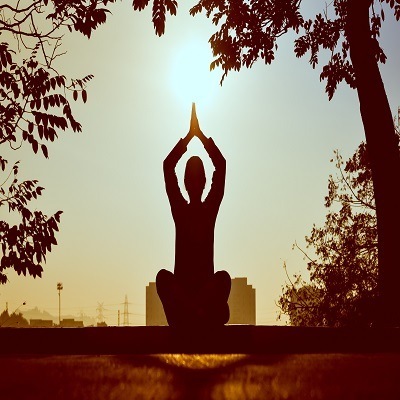 By this, what we mean is that you can create an environment which is perfectly conducive for sessions of meditation. As such, there can be two key factors – internal and external preparations. For internal preparations, this concerns your psyche. Meaning, when engaging in meditation, you have to take into account your current state of mind. 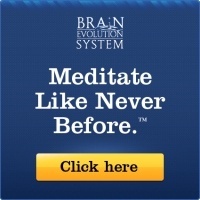 If you are experiencing problems or are thinking of something else, then your meditation session won’t be as fruitful. To solve this, you can simply do steps by consciously preparing your psyche, including your subconscious and even unconscious thoughts. For external preparations, this concerns the environment you’re currently in. By preparing your room, you can create a truly conducive environment for meditation. For instance, by using proper lighting and color schemes, the mind can easily relax and prepare itself for meditation mood. Taking into account these internal and external factors are crucial in doing proper meditation. As a spiritual practice, meditation requires utmost focus and concentration to do one thing – emptying one’s mind. While most activities require us to focus on something specific, meditation tells us to focus on not focusing on anything at all. Sounds a bit confusing right? For instance, when you need to finish a task on miniature painting, you have to focus all your energy on preciseness. But in doing meditation, the task is making sure that we empty our mind with everything else. In order to do this, we have to picture out the classic Chinese saying of emptying your cup. As the liquid from it flows out, the cup becomes an empty vessel that is capable of catering a new set of ideas. In our quest to improve mindfulness, this process is essential for it is the only way to ensure that we are on the right path. Assuming that you have already emptied your mind, the next step is to feel the positive energy that will flow into you. This energy often translated as Chi is a kind of life force that has no shape or form. With this positive energy, we can mold it to become the positive force that we want it to be. We can do this by making sure that our chakra points aren’t blocked. When these points have problems, it can cause a disrupted flow of cosmic energy, making it difficult for us to make use of its full potential. In order to make sure that our chakra points are ready, we can meditate on them as well. By performing specific steps and chants, we will be able to unblock the negative energies within its path. Furthermore, we can also make use of healing stones in order to amplify this process, making it a lot easier for us to make sure that everything is good to go. Having done the necessary steps, the 4th tip in this series focuses on the fundamental idea in mastering mindfulness. In understanding mindfulness, we have to realize that it is a state or frame of mind that is constantly at work. But even when the mind is at work, it doesn’t always lead to the right thoughts given that a lot of noise may easily cloud our consciousness. With this premise, it is important to understand that if we want to improve our mindfulness, we have to see that awareness is a key step. By being aware of the things that are going on (especially in the present), it is more likely for us to end up with the right choices as well. For instance, when you are trying to finish a task and sticking to a deadline, awareness is a crucial state of mind for it will indeed aid you in keeping things at bay. When we lack awareness of our current situation, it may be difficult for us to keep track of things. The fifth tip tells us how awareness can lead to mindfulness. The problem, however, is that awareness should not always be a conscious choice. Meaning, when we try to keep a track on how we should always be in that state, it will eventually stress us out. In the same way, mindfulness should not also be a constant decision. Instead of having to decide every single time that I should be mindful, it is better if, by default, I already am. And so, when doing a mindfulness meditation, one thing that we should take note of is how we can integrate this idea with our daily lives without needing to consciously do it. 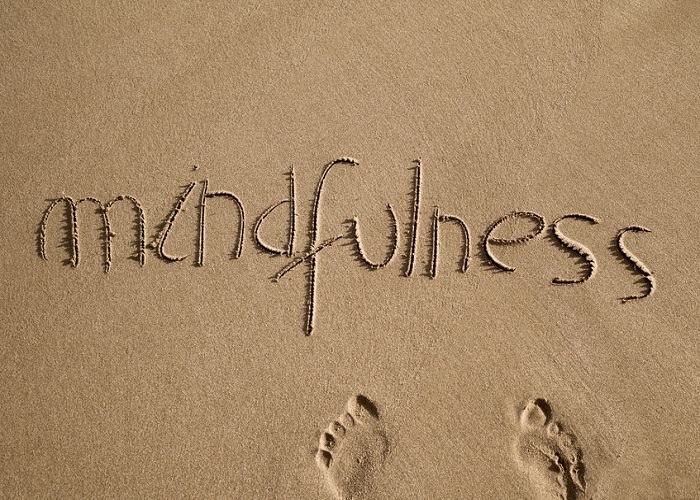 After all, mindfulness means constant awareness – the habit of being present-minded. And while awareness leads to mindfulness, it is pointless to pursue it when we lack the idea of ‘inner peace’. This is because when we find ourselves constantly distracted by external issues or forces of the world, it will be difficult for us to achieve that sense of calmness within us. As we attempt to internalize inner peace, it is crucial for us to make sure that we are not hung up by the past nor obsessed with the future. ​Such a simple phrase tells us how important it is for us to make sure that our minds are focused on the present. If we truly want to achieve that state of mindful meditation, we have to let go of irrelevant thoughts and accept the fact that they are not as significant as we think. Focusing on the present allows us to be in the present. 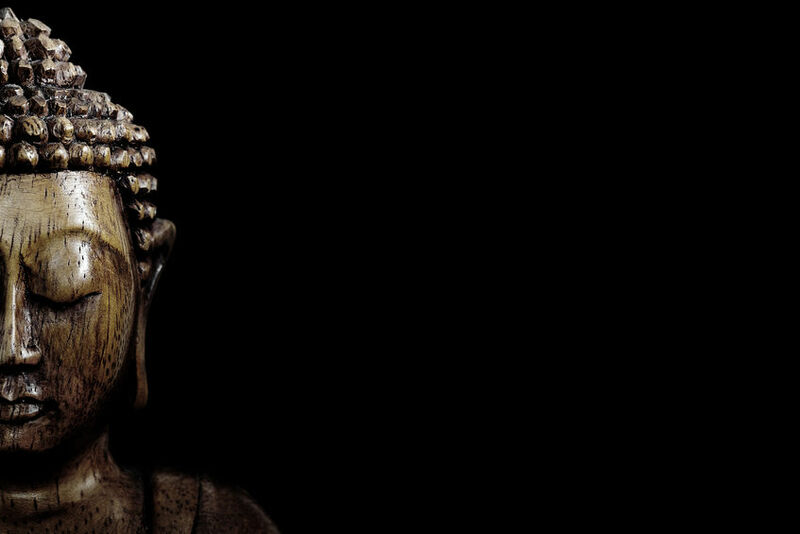 Commonly, mindfulness is a state of mind that we will always struggle to achieve if we are obsessed with something else. In the previous tip, we’ve seen how mindfulness can be hindered by obsessing on the past and even the future. In the same way, we will always struggle to integrate mindfulness in our lives if we are unable to muster ourselves. As such, one thing that can help us release these thoughts (especially those associated to anger and hatred) is none other than a breath ball. Designed to visualize the human tempo of breathing, a breath ball is used in therapy and meditation sessions by professionals. Popularly known as the Hoberman Sphere, this apparatus functions as a physical representation of one’s breath, making us consciously relax and breathe with its tempo. This can be very helpful when performing mindfulness meditation as it will allow us to release whatever it is that binds us in this present moment. After making sure that your mind is programmed and trained to think of the present, the next crucial step is visualizing massive growth. Being mindful is the best state for you to achieve your goals. However, if you don’t have them, it can easily be an endless swim in the lake. In this case, the next step for you is to make sure that you have your goals in life. For instance, you can think of how "massive growth" can be applied to key areas in your life like relationships, finance, and health. By envisioning yourself in a massive goal state in these key areas, you can ensure that the end point for you is clear. By doing this in meditation, it will improve your positive outlook in life, which in turn will make your habit of mindfulness even more consistent. When the end goal is clear, nothing else matters. Aside from clarifying your end goal, another meditation technique is making sure that you have programmed your unconscious mind the best way possible. In order to do this, it is crucial that you take advantage of the most powerful resource that you have – your imagination. Aside from simply envisioning success, living that moment in your life can also work wonders on how you perceive things. By programming your unconscious with positivity (particularly massive growth) you are actively trying to influence the entirety of your psyche regarding its life choices. If this notion becomes successfully engrained deep within our thoughts, it becomes a second nature action. As we live our lives, it becomes part of us to naturally aspire for success and massive growth instead of hopelessly searching for it. As for our last tip, being one with happiness is crucial given that no matter how mindful or successful we become in life, everything is futile when we are unhappy. As we do our meditation, we have to be conscious and make sure that this notion becomes part of us so that everything doesn't just go to waste. By being one with happiness, we don’t have to seek it or be deprived by it. In other words, being with it seems and feels like having inner peace, something that can help us become more mindful and driven as individuals. With this, part of our meditation sessions will be to ensure that all our actions are based on this as one of its end goals. Meaning, when one attempts to be more mindful to pursue massive growth, one must never forget why he/she is doing this. ​With these ten tips on mindfulness meditation, it is likely that the way you perceive things will improve as well. By making sure that you are constantly engaged and aware of both the present and your vision of massive growth, you are less likely to be swayed by the insignificant distractions of this world. Keep this in mind, and you will surely see success in no time. Chris is the head writer at Individualogist.com, a spirituality and self discovery website that uses its proprietary archetype quiz to identify people's dominant personality types.